16) Uchiyama, S., Arisaka, F. Important and essential theoretical aspects of AUC. Analytical Ultracentrifugation, Instrumentation, Software, and Applications, P3-14, Uchiyama, S., Arisaka, F., Stafford, W.F., Laue, T. (Eds. ), Springer, 2016. 15) Arisaka, F., Uchiyama, S. Experimental design and practical aspect. 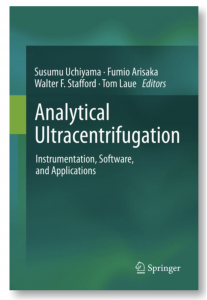 Analytical Ultracentrifugation, Instrumentation, Software, and Applications, P15-21, Uchiyama, S., Arisaka, F., Stafford, W.F., Laue, T. (Eds. ), Springer, 2016. 14) Saito, S., Uchiyama, S. Biopharmaceuticals – Evaluation of intermolecular interactions by AUC-SE-. Analytical Ultracentrifugation, Instrumentation, Software, and Applications, P419-440, Uchiyama, S., Arisaka, F., Stafford, W.F., Laue, T. (Eds. ), Springer, 2016. 9) Fukui, K. and Uchiyama, S. (2007) Proteome analysis human metaphase chromosomes. Chromosome Nanoscience and Technology, CRC Press. 8) Uchiyama, S., Tomoyuki, D. and Fukui, K. (2007) Isolation of human and plant chromosomes as nano-materials. Chromosome Nanoscience and Technology, CRC Press. 7) Inoue, T., Fujita, Y., Uchiyama, S., Doi, T., Fukui, K and Yokoyama, H. (2007) On-Chip Chromosom Sorter Using Electric and Magnetic Fields. Chromosome Nanoscience and Technology, CRC Press. 6) Nakagawa, M., Ohmido, N., Ishikawa, K., Uchiyama, S., Fukui, K., and Azuma, T. (2007) Anti-Peptide Antibodies for Examining the Conformation and Molecular Assembly of an Intracellular Protein. Chromosome Nanoscience and Technology, CRC Press. 5) Ohkubo, T., Petkova-Andonova, M., Kojima, Y., Nakamura, S., Fujita, H., Nishi, Y., Nakano, H., Uchiyama, S., Fukui, K., and Kobayashi, Y. (2007) Structure and Interactions of the Imitation SWI-Type Chromatin-Remodeling Complex, ATPDependent Chromatin- Assembly Factor. Chromosome Nanoscience and Technology, CRC Press. 4) Ohmido, N., Uchiyama, S., Matsunaga, S., Nakagawa, M., Azuma, T., and Fukui, T. (2007) Dynamic and Functional Analysis of Chromosomal Proteins. Chromosome Nanoscience and Technology, CRC Press. 小林祐次、八田知久、西 義則、内山 進 (2001) 「分子間相互作用の解析における超遠心法の活用」 プロテオミクスの最新技術 シーエムシー出版，pp39-48. 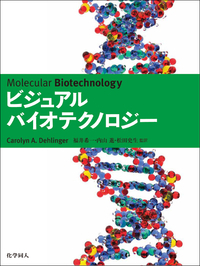 Copyright © 工学研究科生命先端工学専攻 高分子バイオテクノロジー領域 内山研究室 All Rights Reserved.